We are excited to announce that we will be attending this years HOTZONE conference in Houston, Texas. Join us at booth #216 as we unveil our brand new product, HAZSIM eXp. We can't wait to see you on the exhibit floor October 19th, and 20th as we release our latest innovation for the gas metering world to see. HazSim founder Phil Ambrose originally developed the HazSim Pro to increase the situational awareness of his peers and improve safety training through realistic experiences. The HazSim Pro is currently used to train thousands of personnel in Fire, Military, Oil and Gas, and Power facilities across North America. The system is used for basic hazwoper, HazMat Tech/Spec, Confined Space, and any training for those who encounter dangerous atmospheres. 'The HazSim eXp is a product of everything we have been learning as the leaders in hands-on simulation training' says HazSim Founder, and Fire Captain Phil Ambrose. 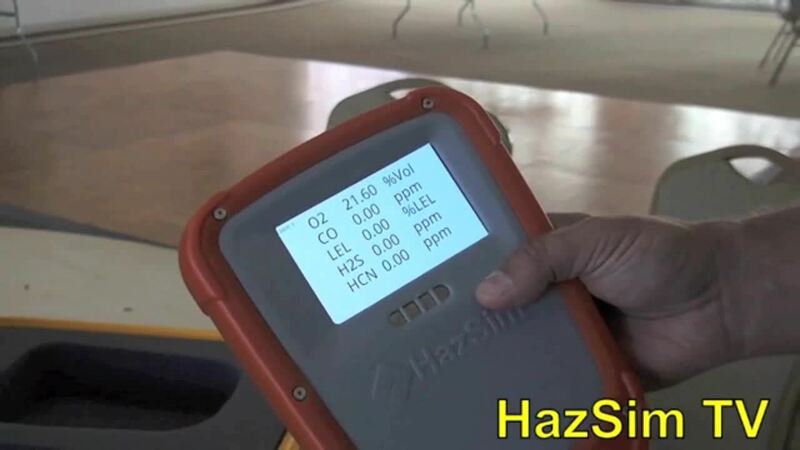 'One of our company values is experience, and what we mean by this is not only is our staff experienced in safety training, but we learn from the experiences of everyone getting trained by HazSim' HazSim eXp is able to simulate 4, 5, 6 gas meters as well as Radiation and WMD. 'We are excited about several new features available as well as future planned enhancements.